Is Your Home Ready for an Open House? Home sellers, are you ready for your Kansas City open house? Quick! Check your landscaping – unless it’s picture-perfect, you’re not as ready as you think you are. 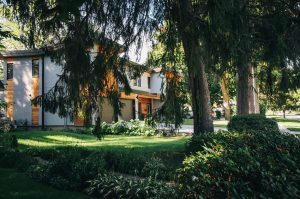 Landscaping is one of the first things a potential homebuyer sees, so take heed if you’re selling your home. Curb appeal is everything. Not convinced? 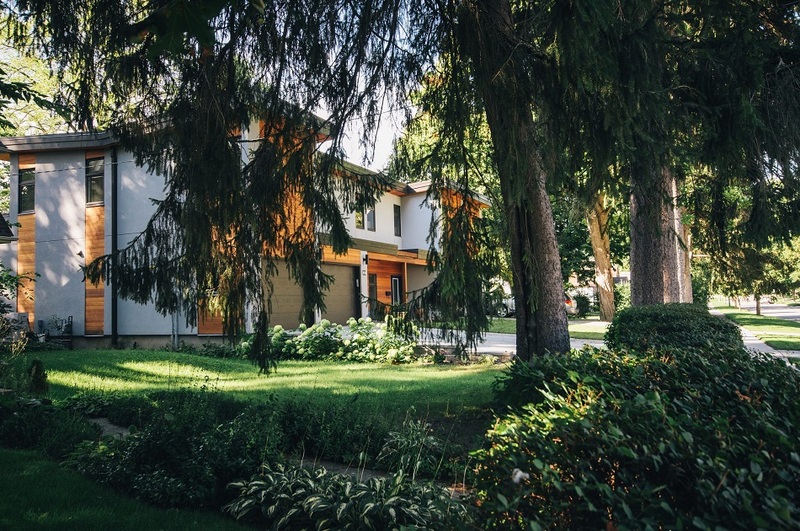 According to HGTV, an attractive, well-maintained landscape can add as much as 10% to the value of your home. Fill outdoor containers: Containers full of large, colorful plants and flowers add interest to patios and doorways where would-be buyers enter and exit your house. HGTV suggests planting tropical plants to catch the eye. Refresh the mulch: Mulch fades and scatters over time. Replacing the mulch or adding a fresh layer of mulch to your garden beds can transform the look. Mulch is inexpensive and easy to apply. Add some color: Seasonal color makes the landscape pop, so buy a few flats of cheap annuals and add a splash of color, or several colors, to coordinate with the look of your home. For example, if your front door is red, plant some bright red flowers in your containers or flower beds. Prune unsightly trees and shrubs: Dead branches are never attractive. Shape up your trees and shrubs no matter what time of year so your home looks well-maintained and neat. Remove any dead plants immediately. Clean up water features: If you have an algae-infested pond, a water fountain encrusted with leaves or just a dirty bird bath, clean them up right away. These features can add to the value of your home, but only if they look nice. A water feature that doesn’t look good or work properly can be an instant turnoff. Fix irrigation system problems: Irrigation system repairs can be expensive, but no buyer wants an irrigation system that is broken. Provide information about your irrigation schedule, especially if you have an automatic system, and give instructions as to how it works and the watering schedule that you’ve followed. Power-wash dirty surfaces: You want potential buyers to see and step onto a clean front porch or paved sidewalk. If yours looks dirty or grungy, buy or rent a power washer to clean them up. Power washers also do a great job of cleaning fences, as well as brick and vinyl siding. About a half-hour before your Kansas City open house and before showings, if possible, HGTV says you should water your lawn and plants. The water reduces the glare of paved surfaces and gives the impression that your landscaping is well-maintained, which sends a broader message that your entire home is well-cared-for. Also consider running your irrigation system to show that it’s working properly. Carefully consider all these tips, and here’s one more: If you need help buying or selling a home, call the experts at Team Real Estate Kansas City for more tips on prepping your home for the market or finding the best home for you. We sell homes for 5% to 18% above the average asking price, and we’d love to help you sell your Kansas City-area home! Call us at 913.451.5711 or visit www.teamre.com today.